Home / News & Events / Events / Breakfast Week! Breakfast…the most important meal of the day. That’s why we like to celebrate it here at Hollow Trees Farm. 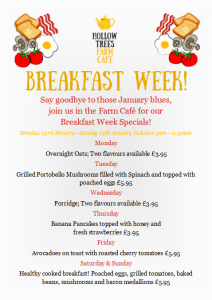 From Monday 23rd January to Sunday 29th January, there will be plenty of special offers and breakfast ideas to get your day off to a good start. 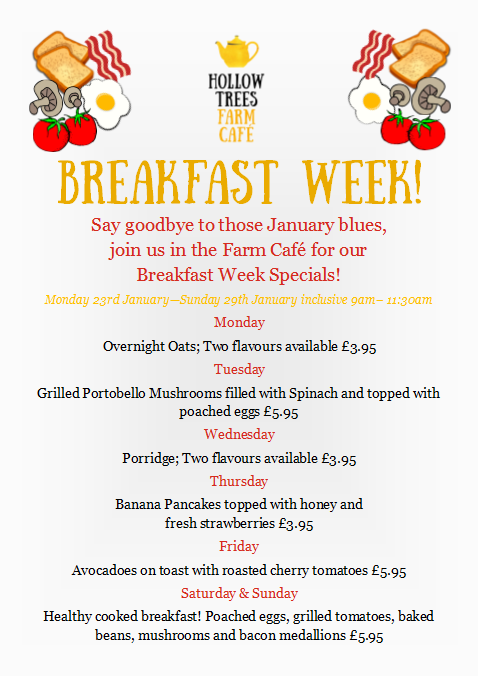 In our Farm Café, we have a special breakfast menu running all week. And you don’t need to worry about your diet as we have the Eat Out, Eat Well Gold Award in our Café meaning our breakfast week specials are all healthy themed but of course, still delicious. Take a look below at our tasty menu for the week. Breakfast will be served from 9am – 11.30am each day. 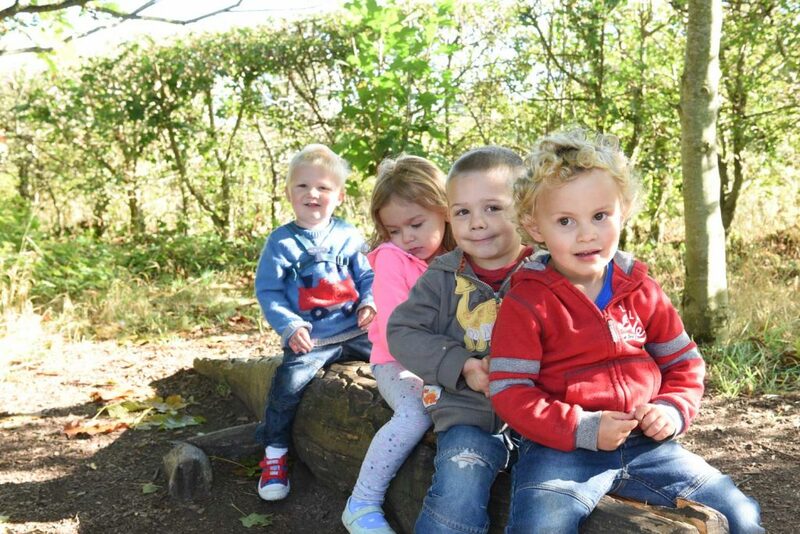 Plus, if you order off our special breakfast menu, you will receive a money off voucher for our Hollow Trees Farm eggs, produced by the hens you can see on our Farm Trail. Once you’ve filled up on food, make sure to have a look in our Farm Shop where you will find lots of fruity special offers and triple points on a range of breakfast items. Stock up so you can start your day right. 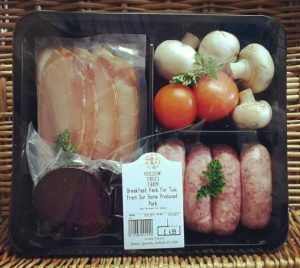 And make sure you prepare for the weekend with our butchery breakfast packs on special offer for the week at £4.99. 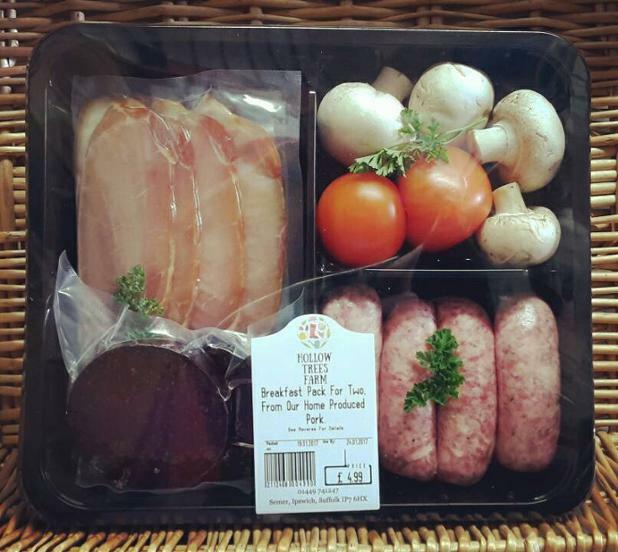 The packs include 4 Lincolnshire sausages and smoked bacon, both made using Hollow Trees Farm reared pork. Plus the pack includes black pudding, fresh tomatoes and mushrooms. Breakfast made simple. 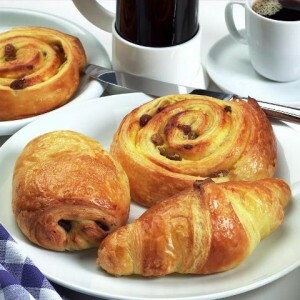 Our freezers are also full of breakfast treats including croissants, pan aux chocolate and more for those mornings where you need a little treat to get you going. All individually sold so you can take as many or a few as you need. Don’t be a boring breakfaster, join us for Breakfast Week and be inspired to get creative with your morning meal.